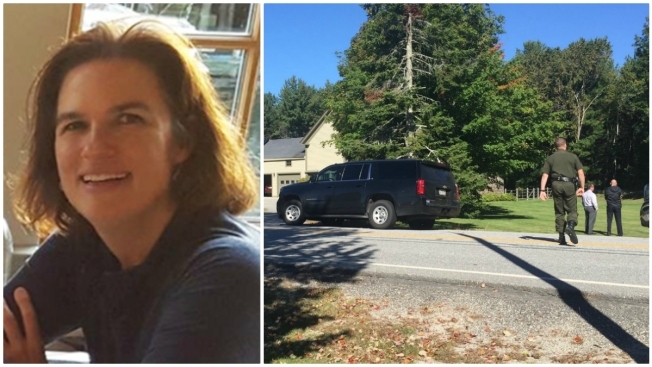 A body has been found in a Maine community amid an ongoing search for a missing elementary school teacher, authorities said. Law enforcement officers converged on a home on Gray Road in North Yarmouth Friday morning where the body was found, a scene that's about a half a mile from Kristin Westra's home on Lufkin Road, where she was last seen on Sept. 30. Although a body was found, the Cumberland County Sheriff's Department did not identify the remains. Westra's family told necn the 47-year-old woman disappeared without her phone, keys, car or wallet. Her family also said she had been suffering from anxiety and was having trouble sleeping before she went missing. "I'm thinking she snapped, had a break, and left," Westra's brother, Eric Rohrback, said. "Doing this to her family means she was not in the right mind when she left." Police said earlier on Friday that Westra's husband, Jay Westra, is cooperating with the ongoing investigation.